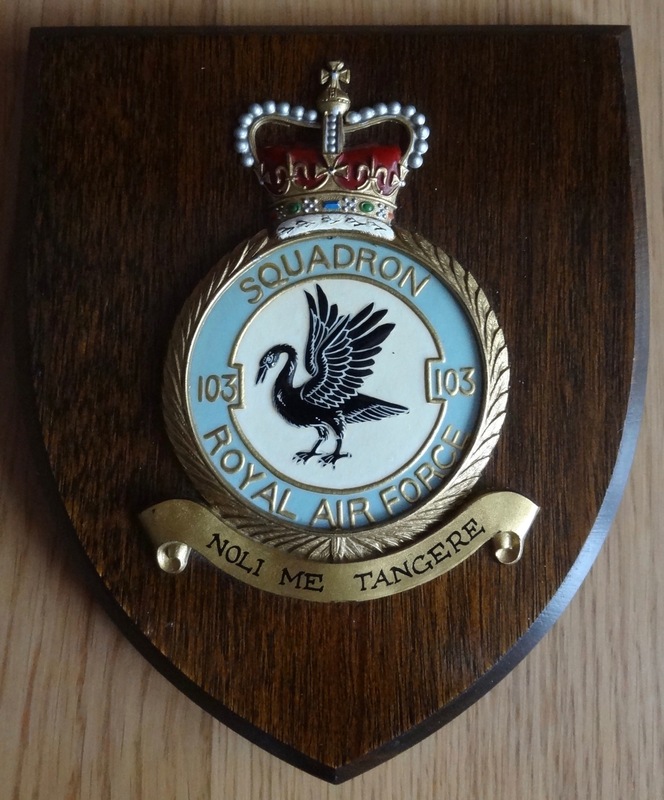 Regiment/Service: Royal Air Force Volunteer Reserve Unit Text: 103 Sqdn. 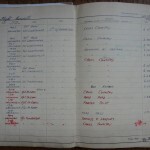 Additional information: Husband of Helen Elizabeth Miller, of Sawley, Long Eaton, Derbyshire. 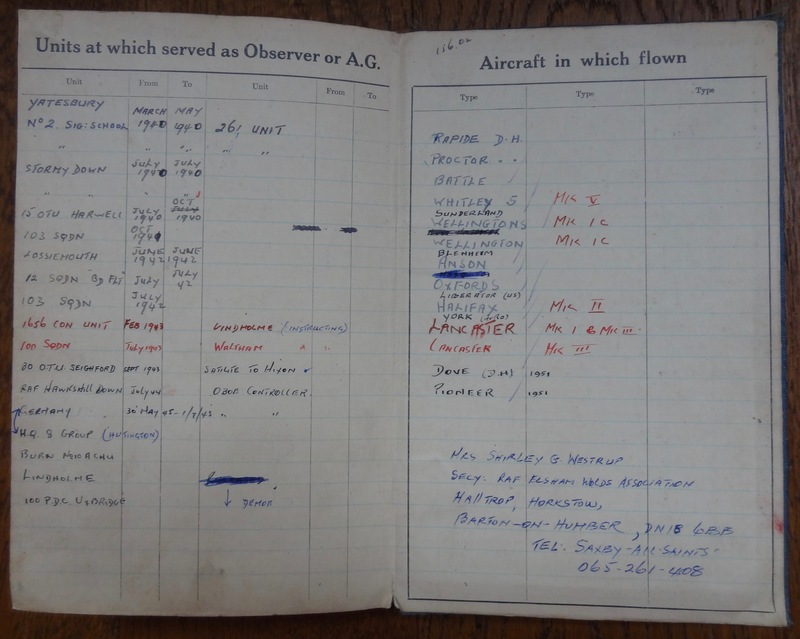 Lancaster LM314 Mission to Kassel T/O 18.00 from Elsham Wolds. 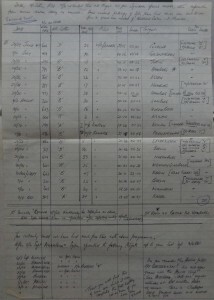 Crashed at Rischenau, 9 km SSE of Lügde. 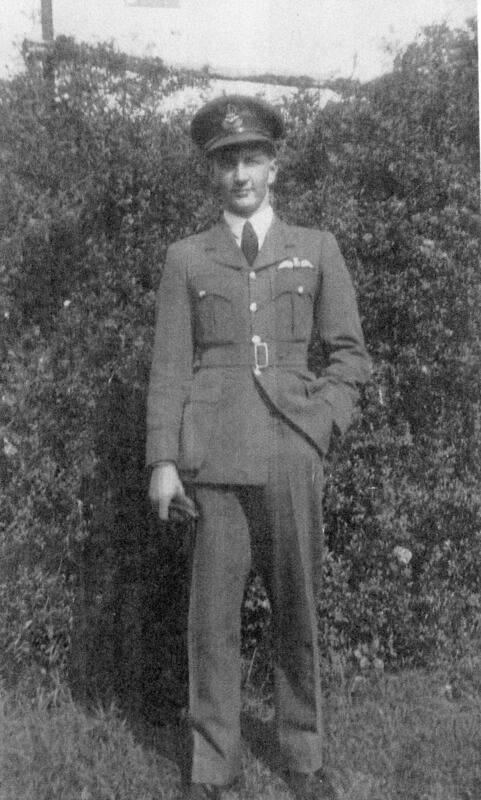 Bruce Miller DFC was navigator in Ken Lee’s crew in 103 Squadron RAF and was killed in 1943. 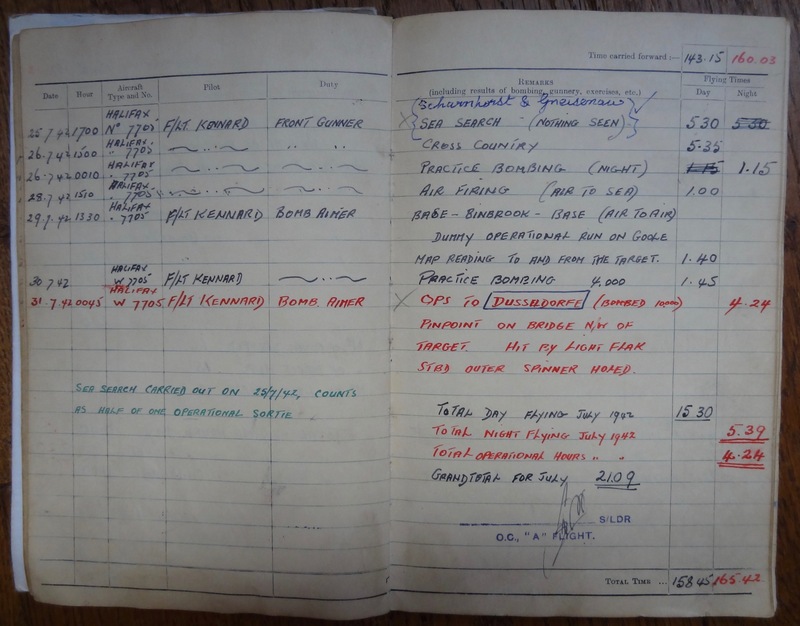 Edward Haly received his commission on 21st March 1943 to the rank of P/O on probation (emergency). 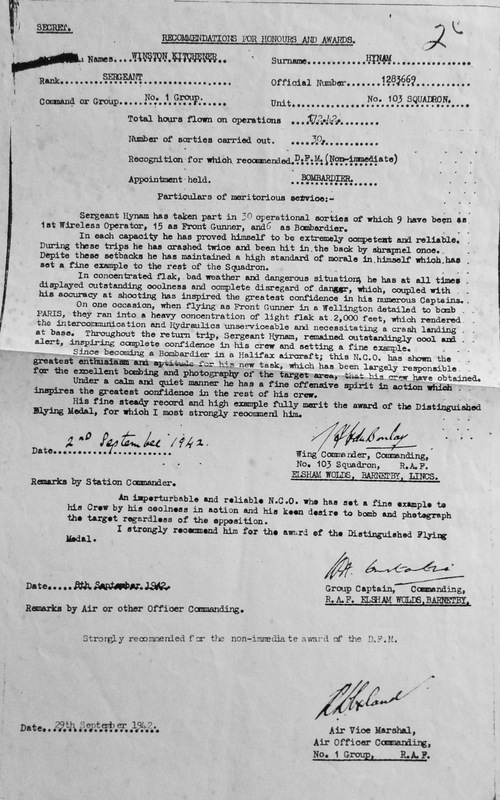 He was later awarded the DFC for service with 51 Squadron, Gazetted on 17th August 1943. 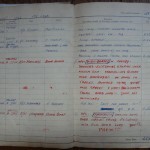 He was promoted to F/O on probation (war subs) on 21st September 1943. 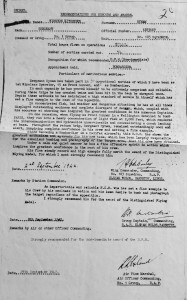 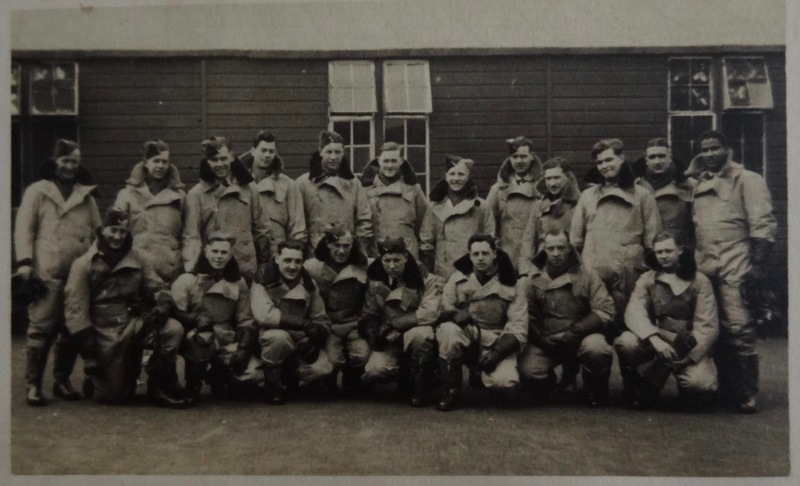 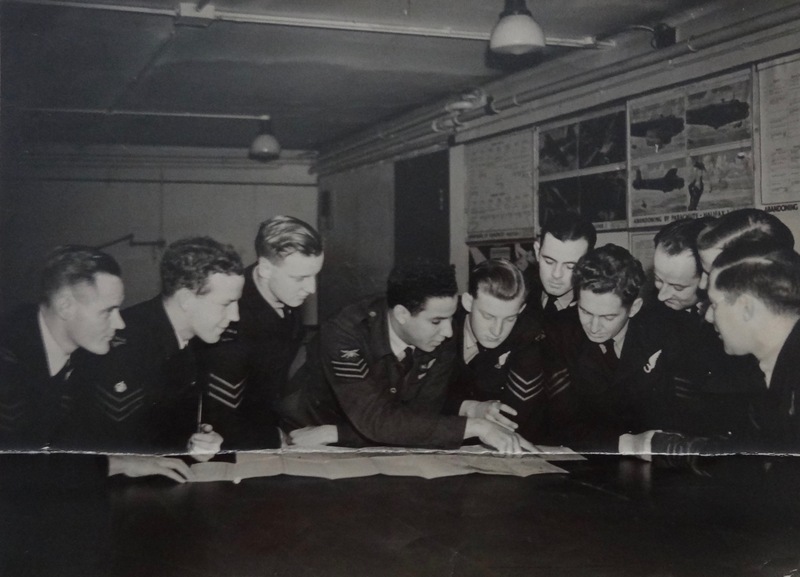 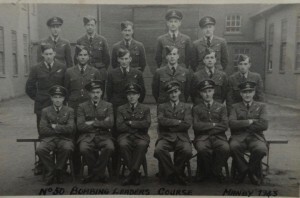 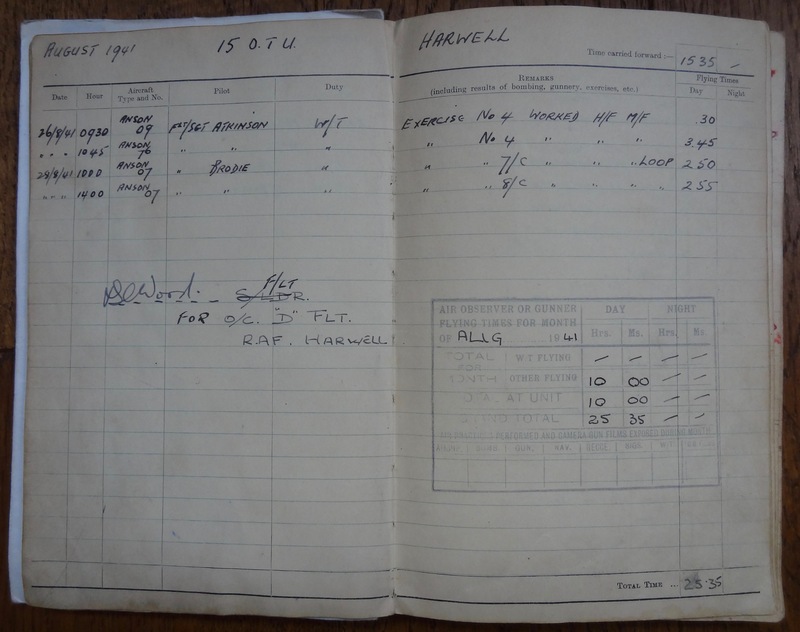 On 17th September 1944 he was flying in Halifax BB360 and was probably instructing with 1652 HCU rather than training. BB360 crashed near Angram, York on a training flight and all nine airmen on board were killed. 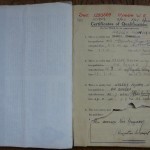 He was twenty three years old and is buried at Harrogate Stonefall Cemetery, Yorkshire. 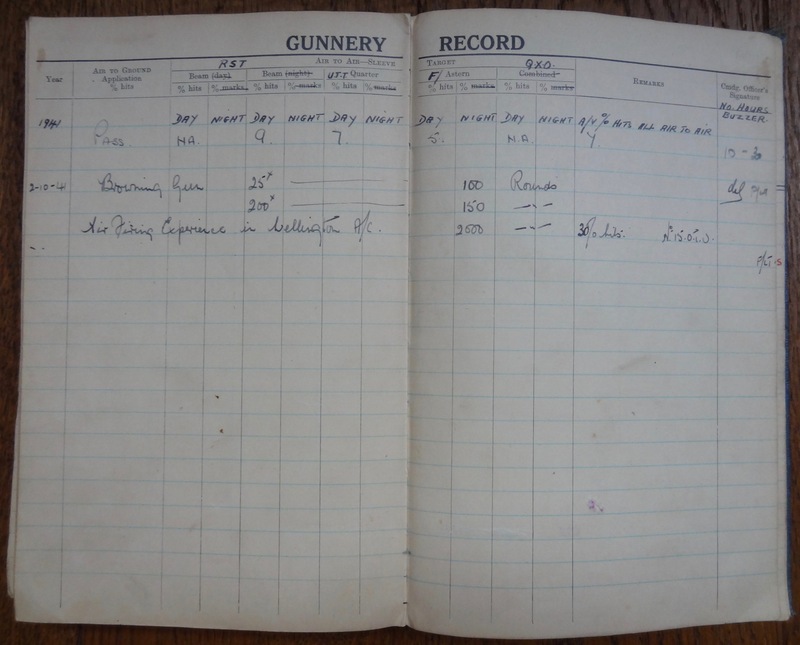 The Commonwealth War Graves Commission list him as being the son of John and Edith Marie Haly and the husband of Daphne Pauline Haly, of Wokingham, Berkshire. 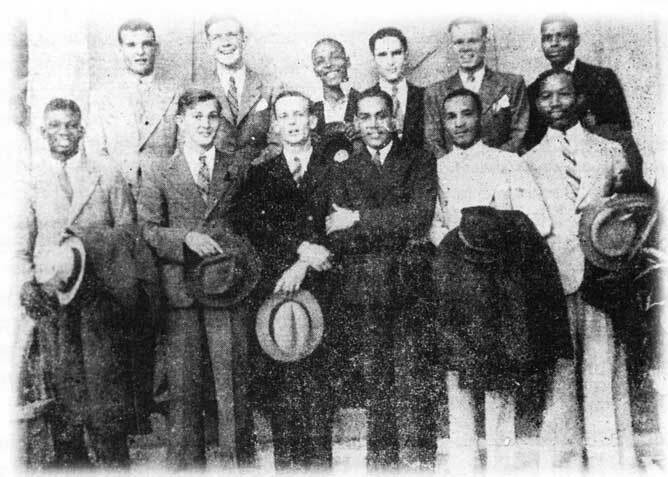 But with him being originally from British Guiana. 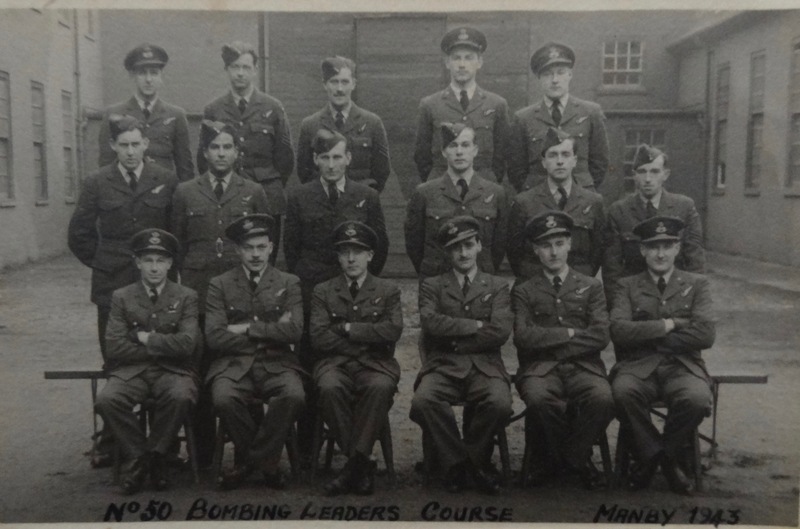 It seems F/O Haly had been involved in a previous crash due to engine failure, when he was still a Sergeant: Halifax W7818 at Snaith airfield. Winston Kitchener Hynam, 103 Squadron, was awarded the DFM in November 1942 while Sergeant. 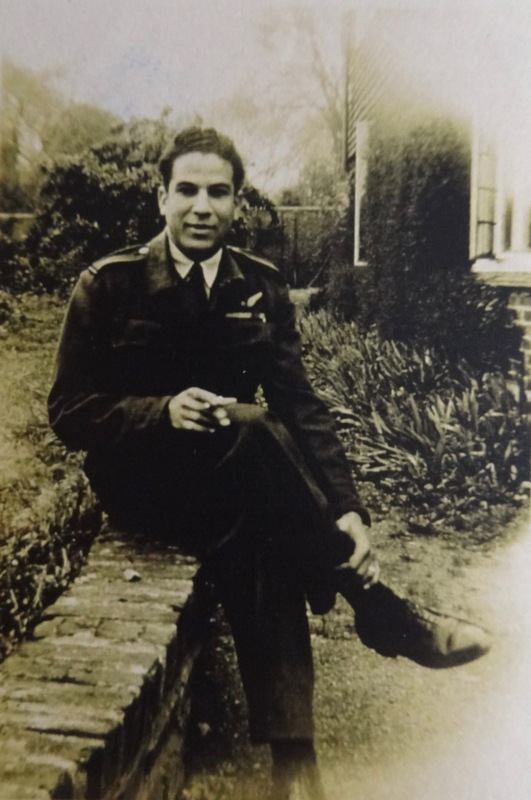 He was described as an impurturbable and reliable NCO who has served as Wireless Operator/Front Gunner, and Bomb Aimer. 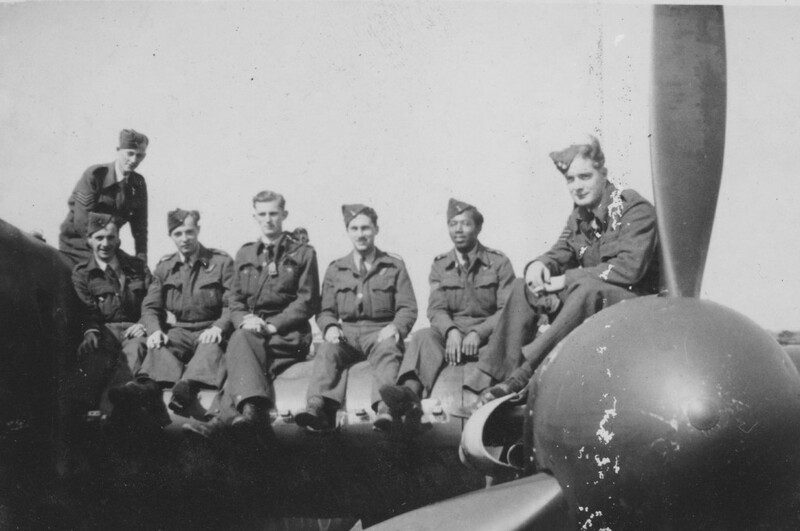 In December 1943, now Pilot Officer with 100 Squadron, he was awarded the DFC. 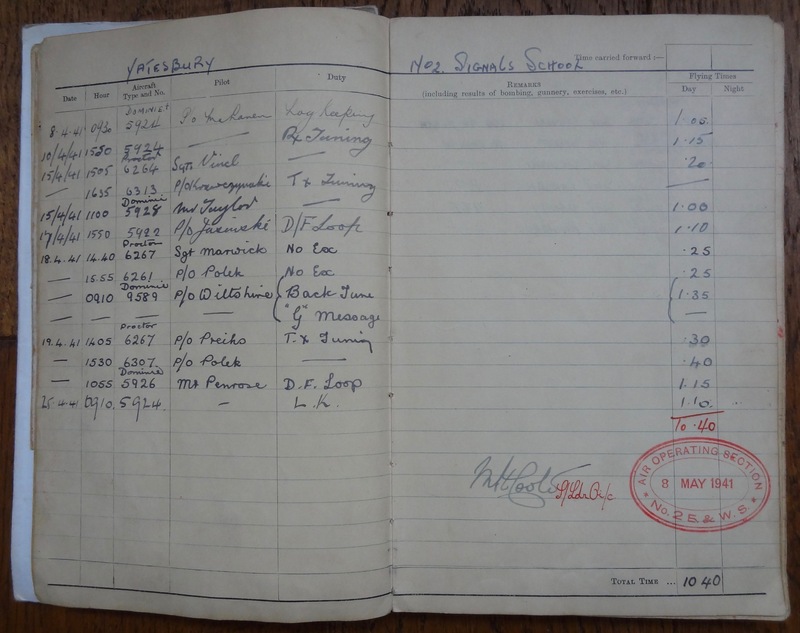 Possibly his RAF numbers: 1283669 when Sergeant and 155808 when Pilot Officer (promoted September 1943?) . 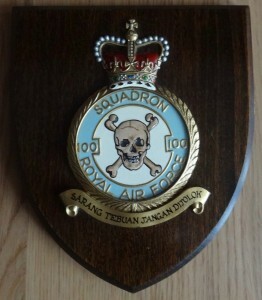 He is the only West Indian to hold both the DFM and DFC. 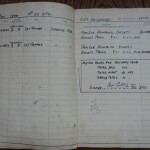 Used to be Warden of West Indian Students Centre in Earls Court in 1980. 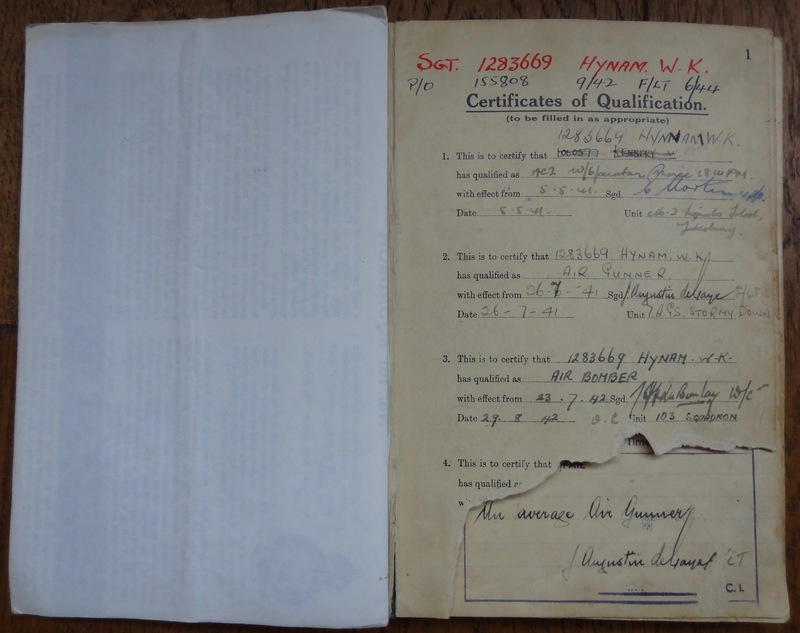 Winston Hynam flew as Air Bomber in 103 Squadron RAF with Squadron Leader John H. Kennard DFC for 6 ops. 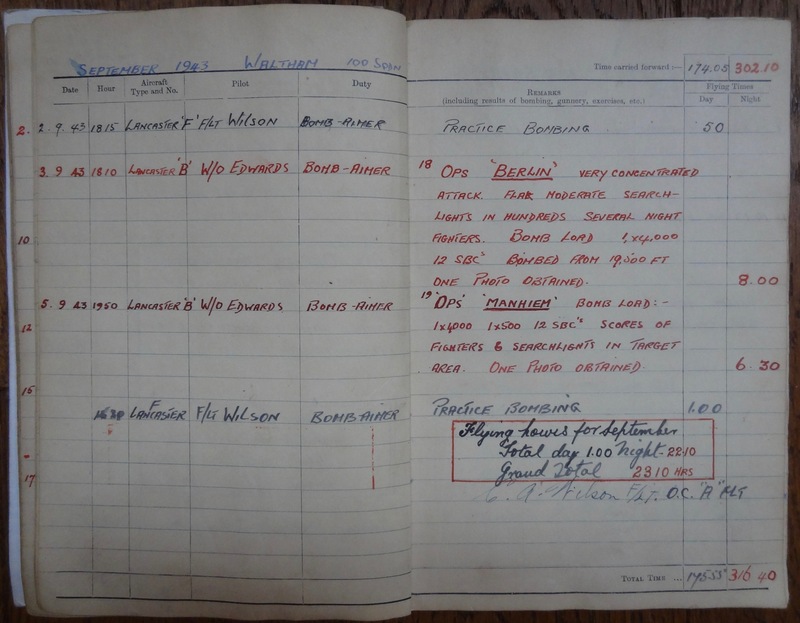 Matthew McKinnon is the grandson of Winston Kitchener Hynam. 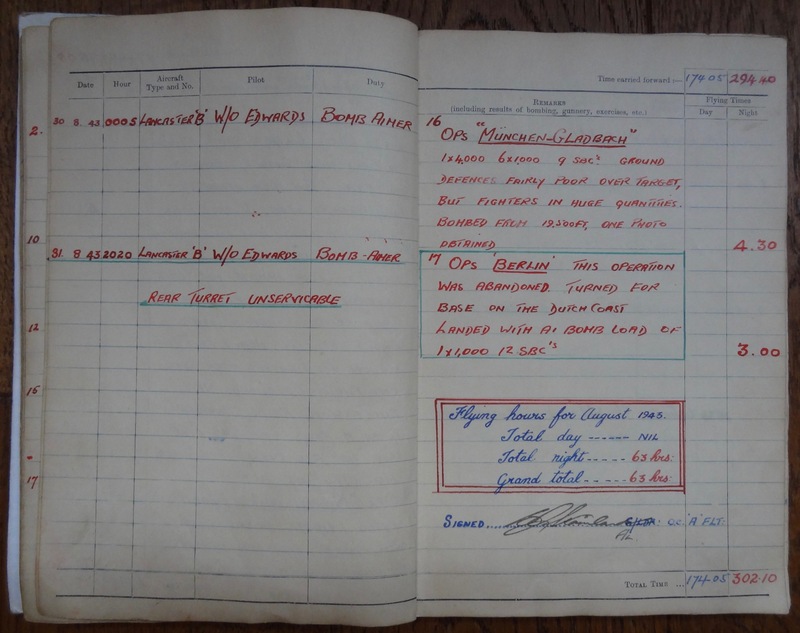 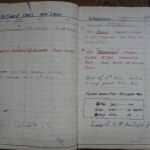 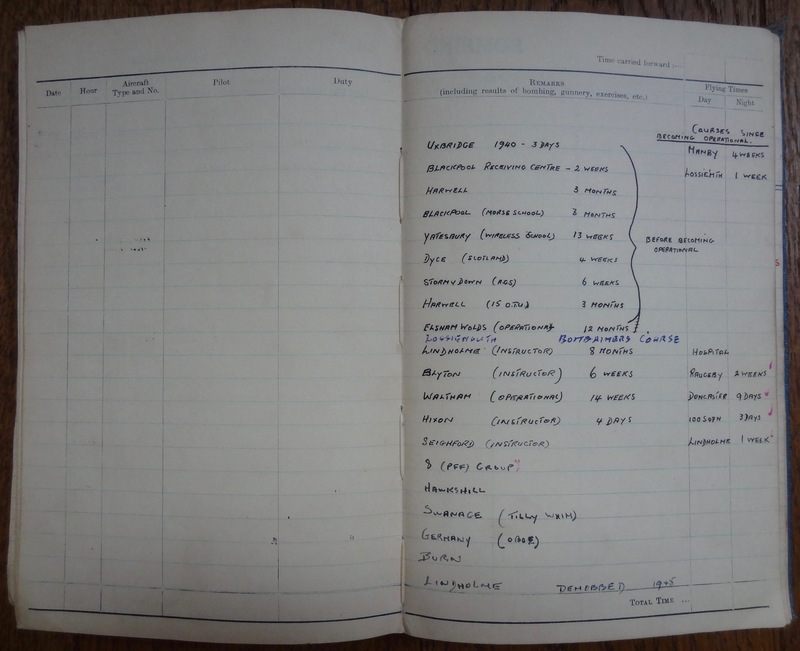 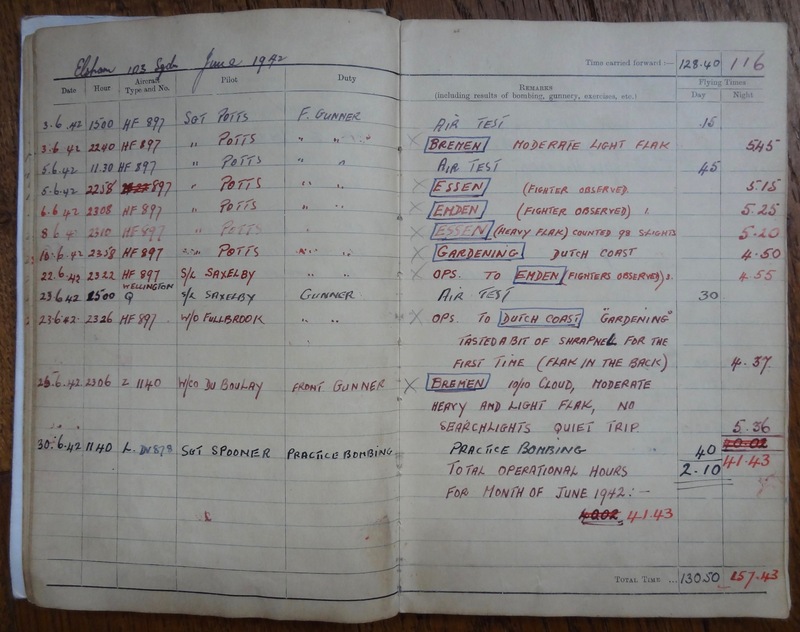 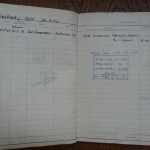 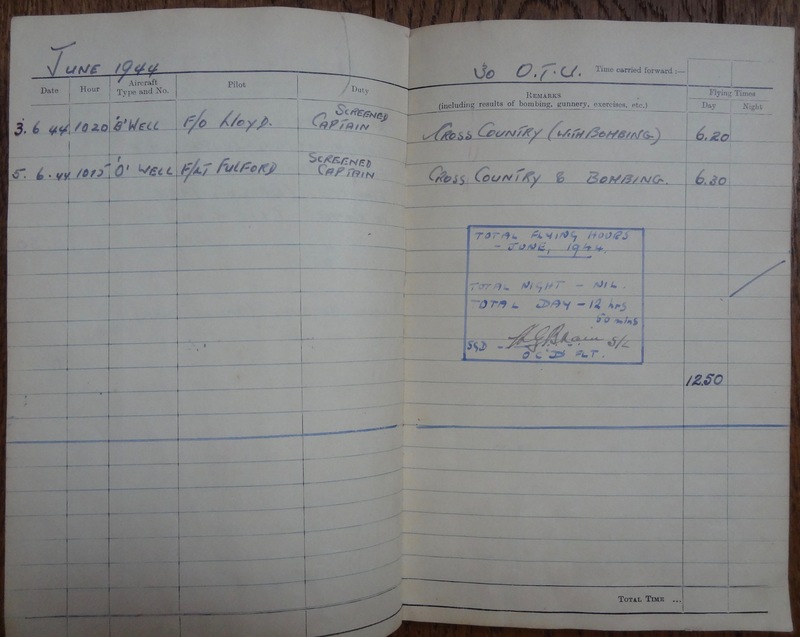 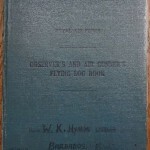 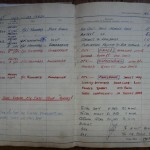 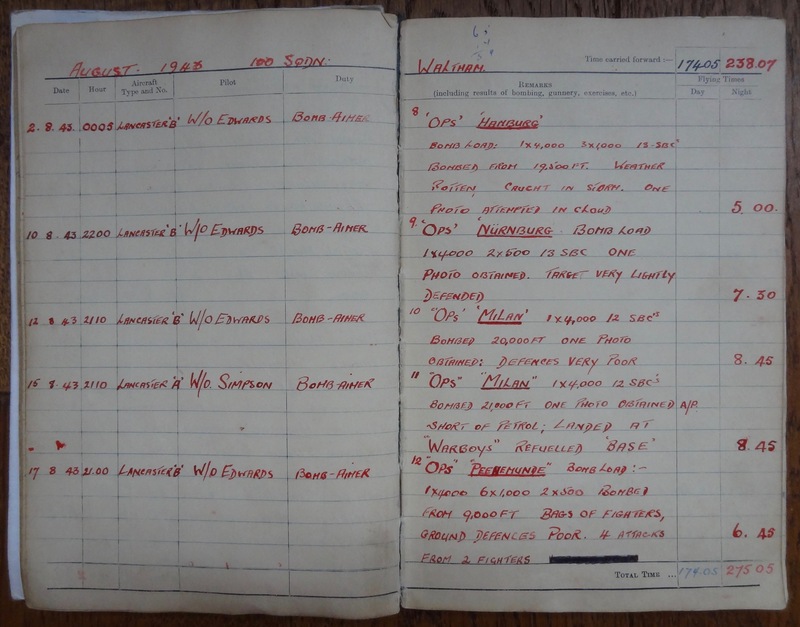 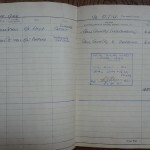 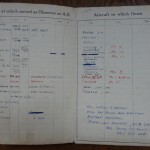 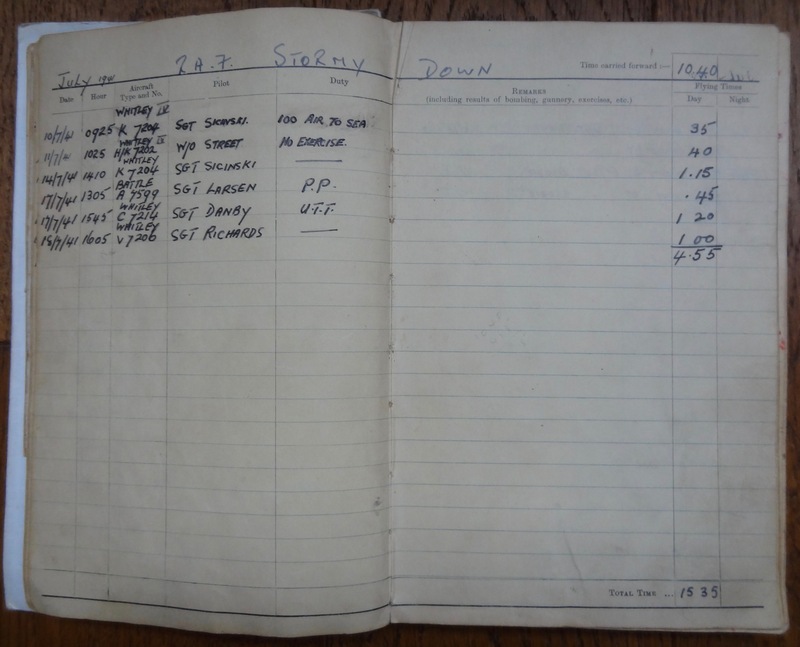 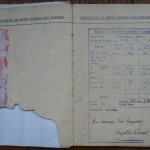 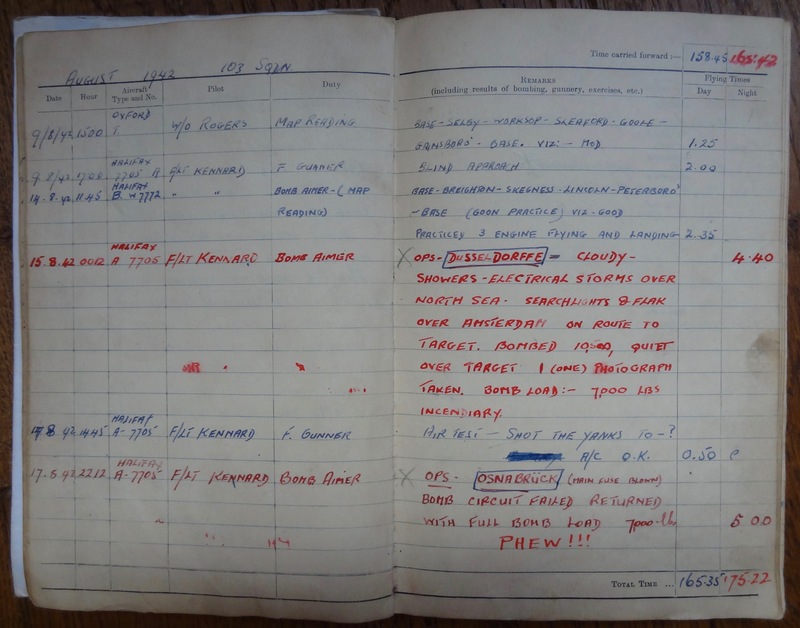 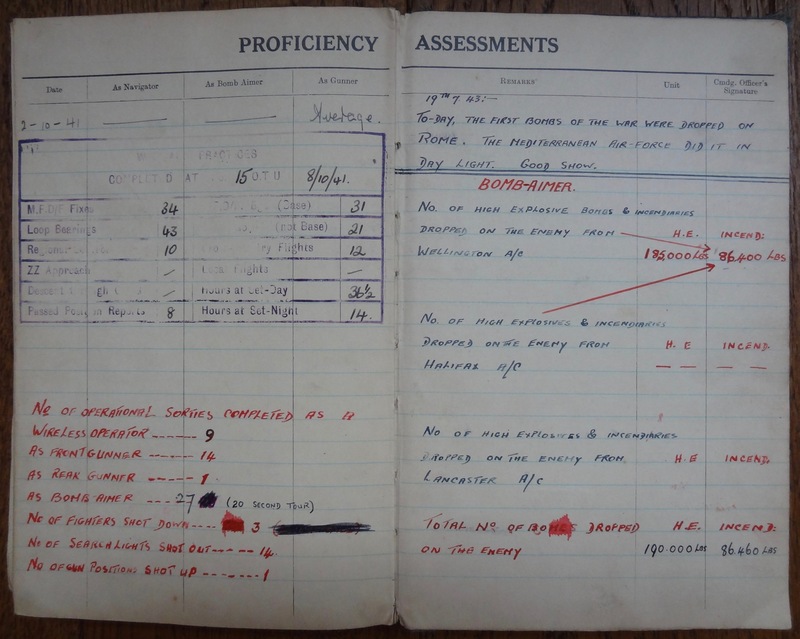 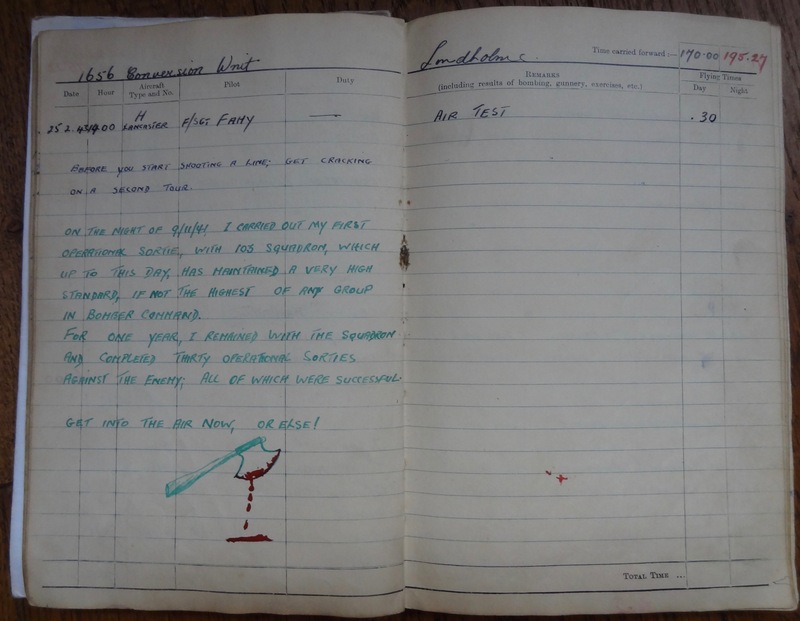 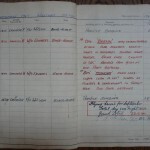 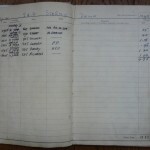 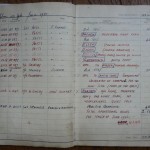 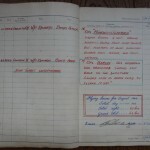 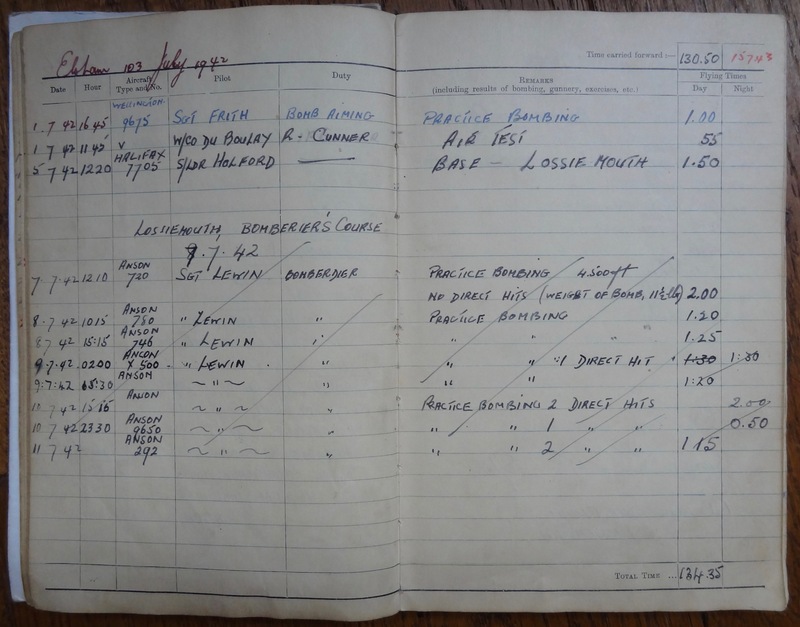 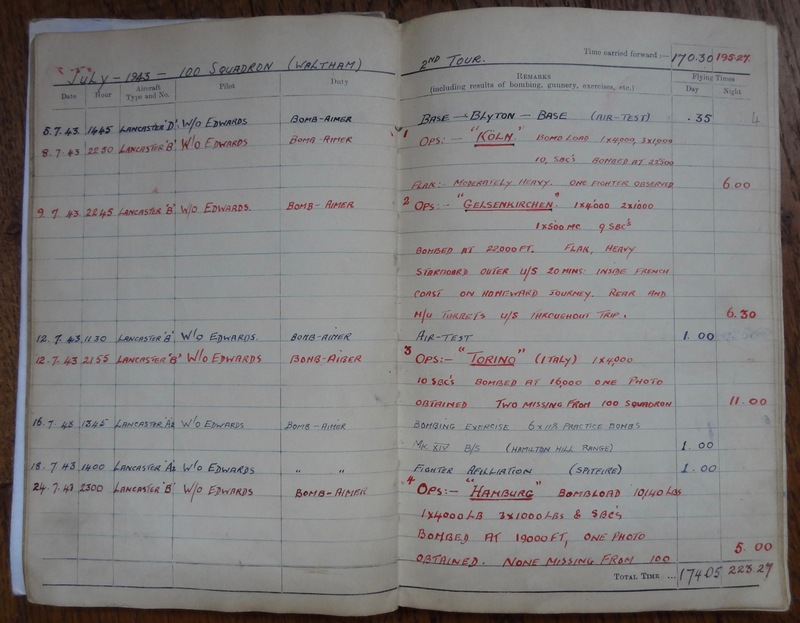 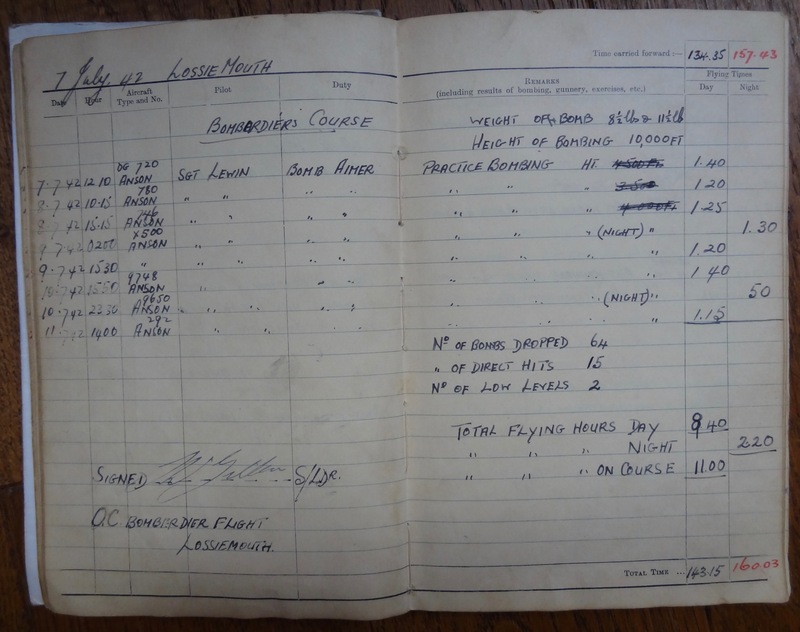 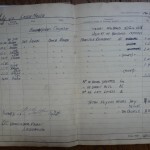 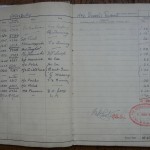 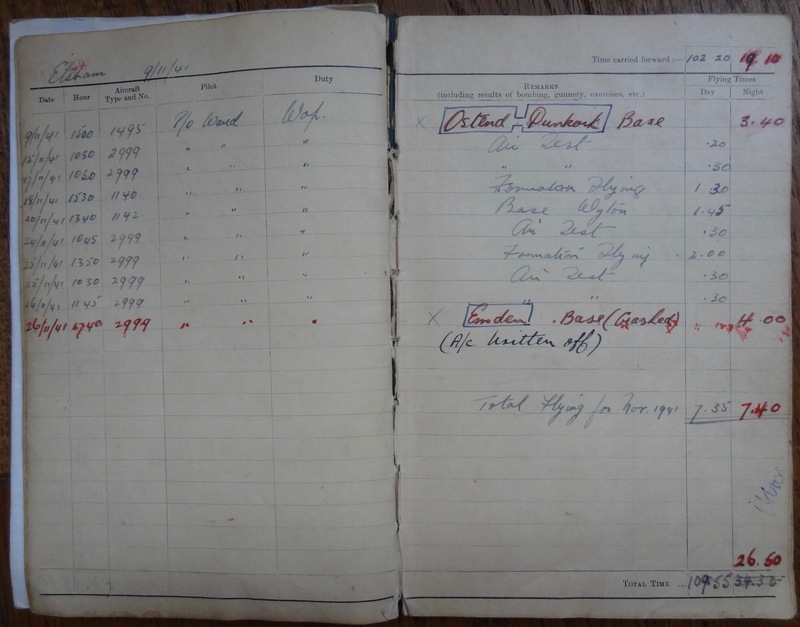 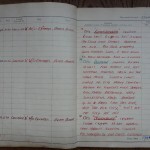 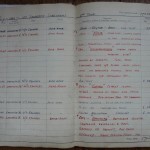 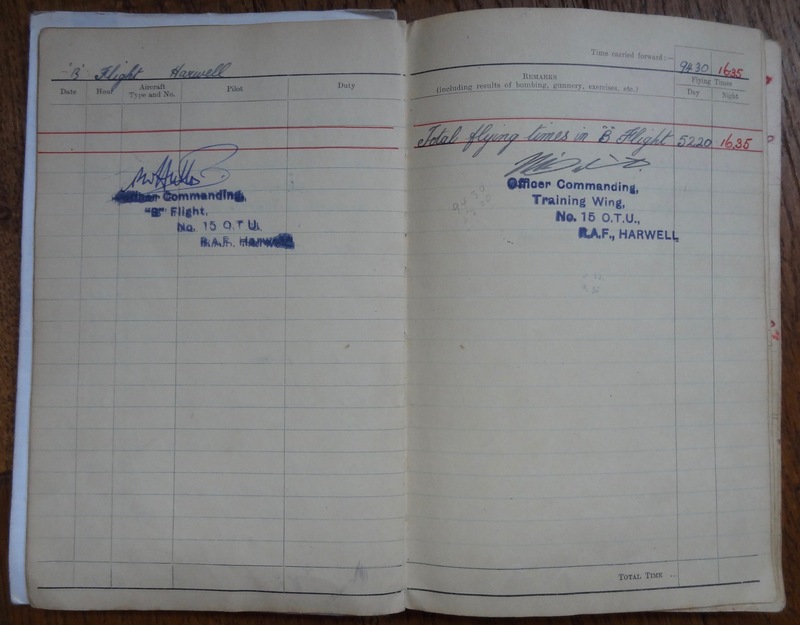 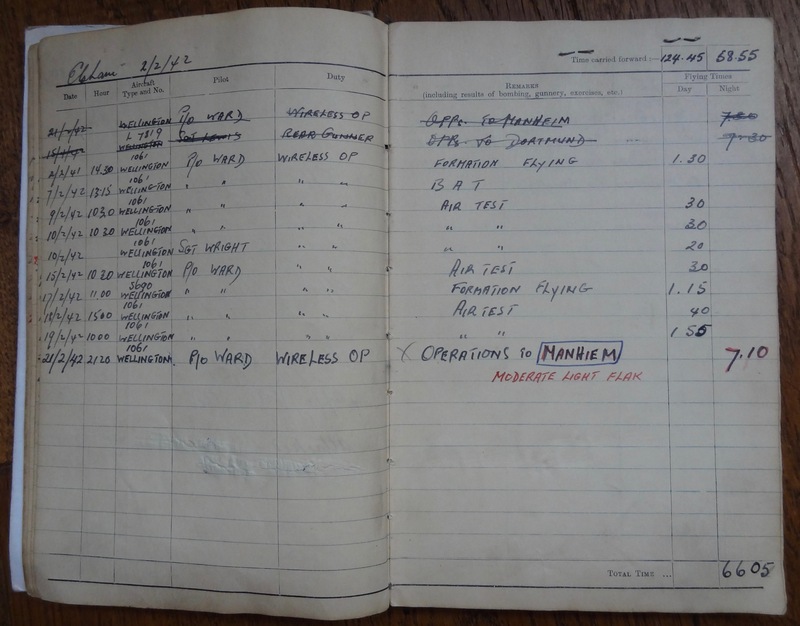 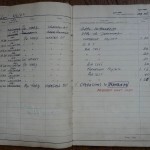 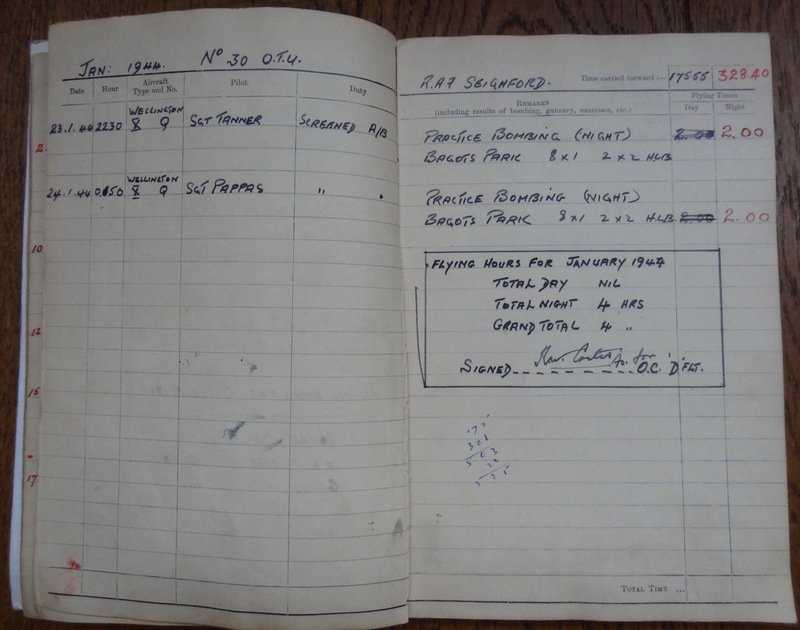 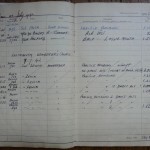 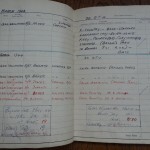 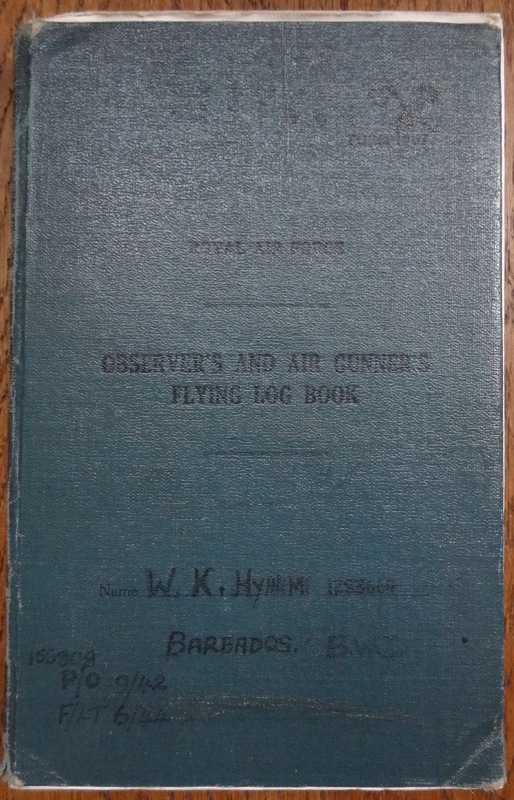 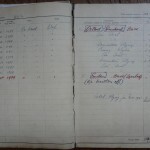 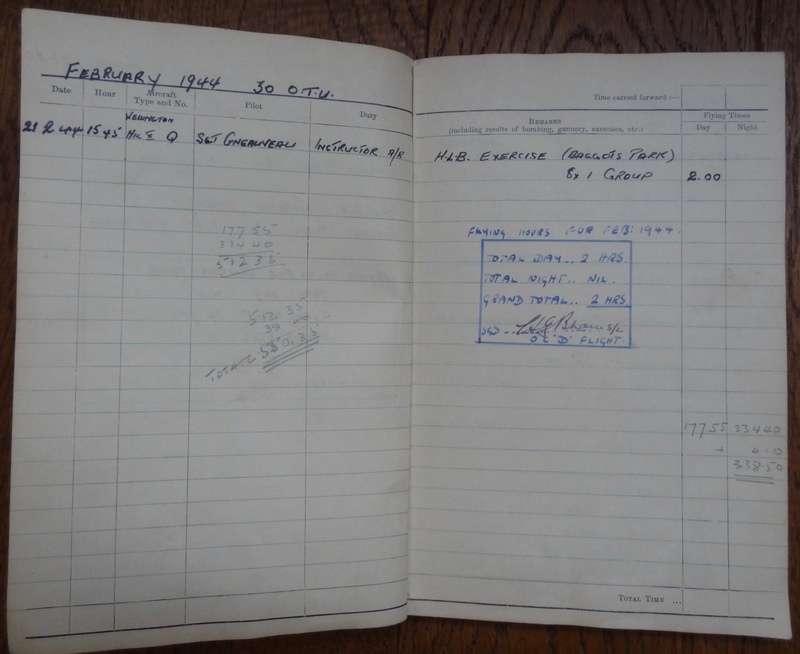 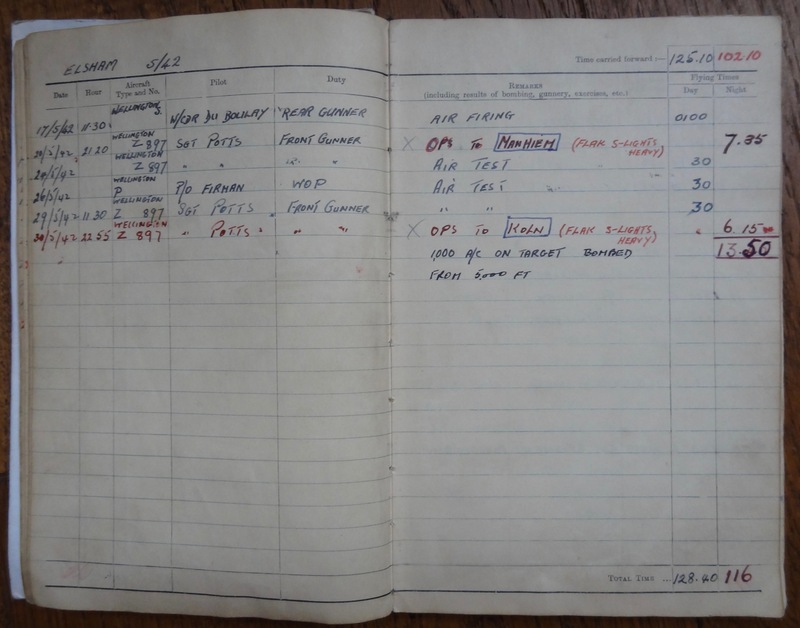 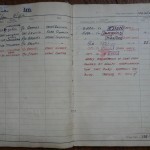 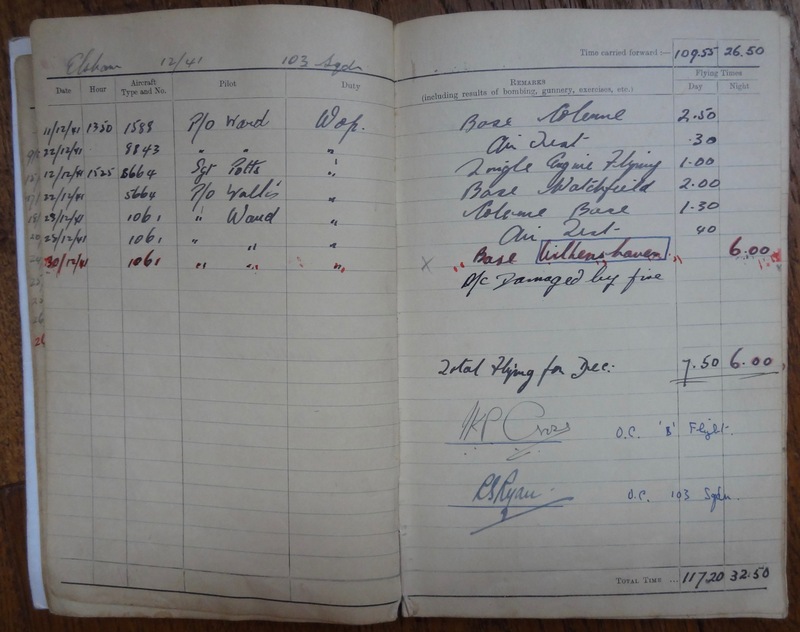 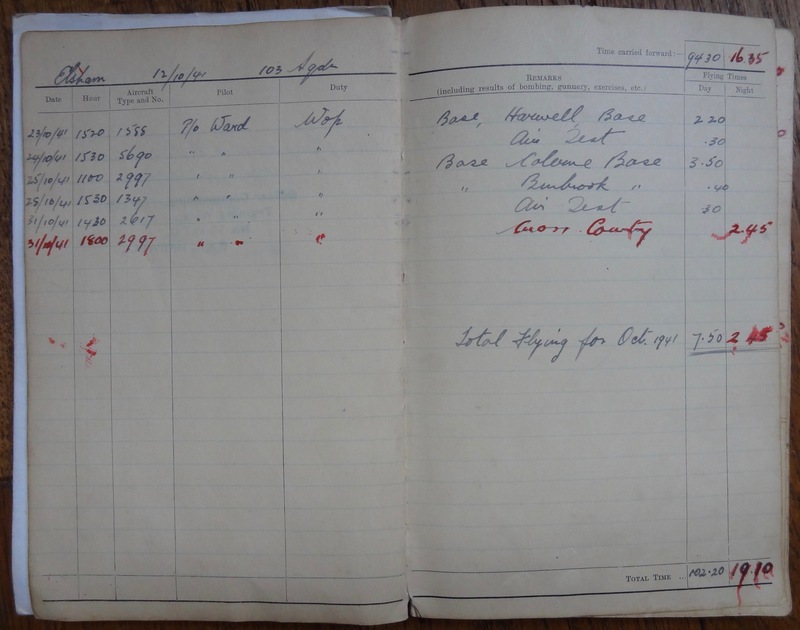 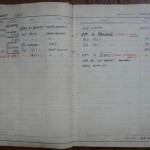 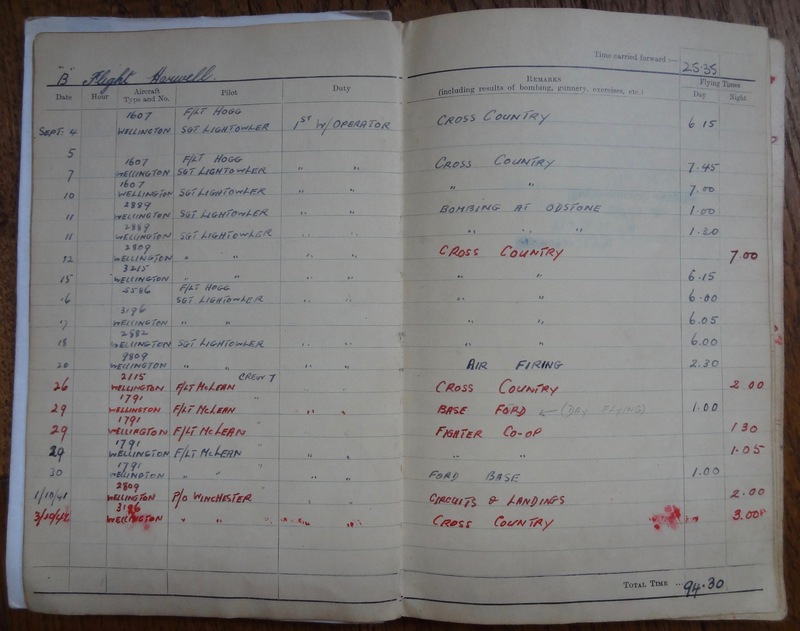 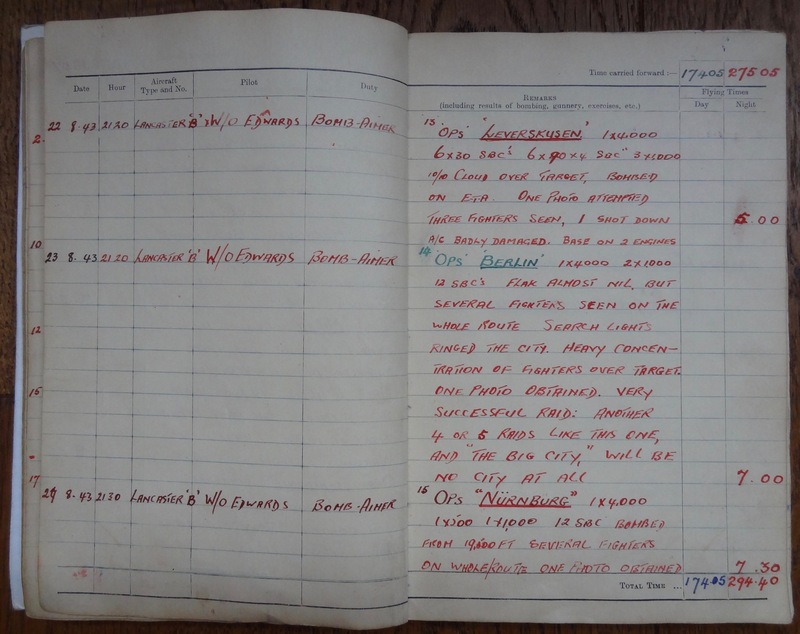 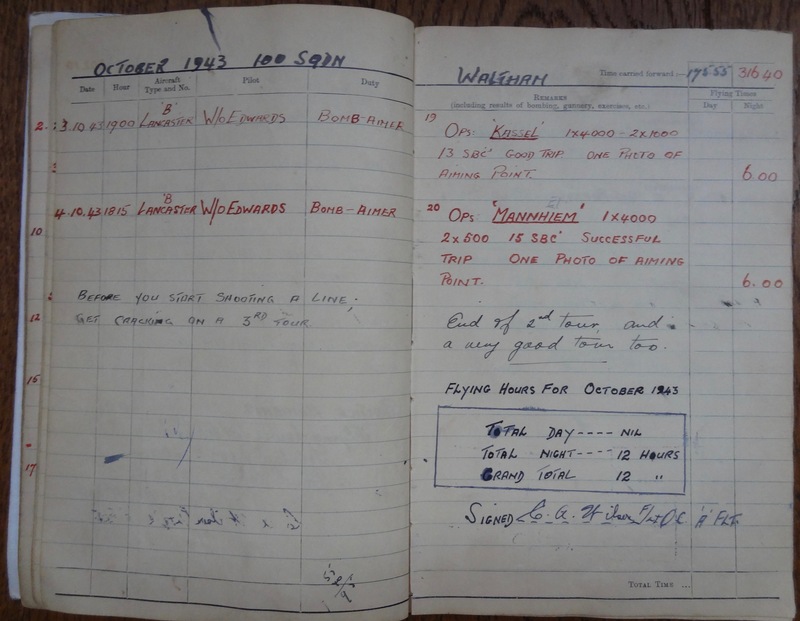 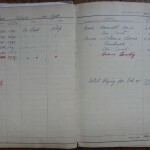 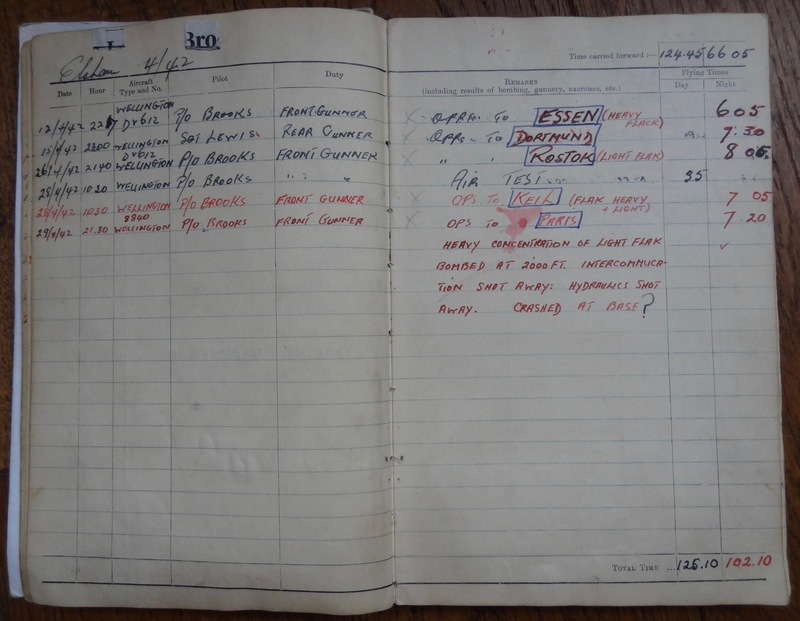 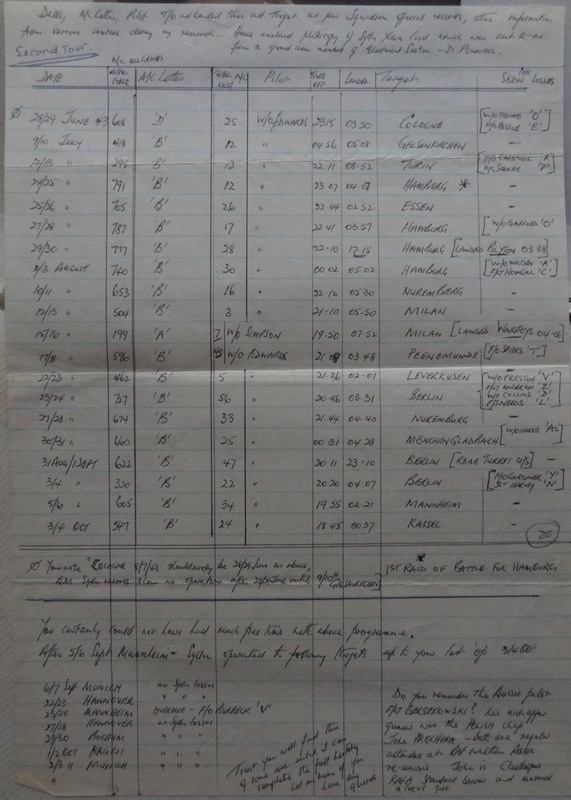 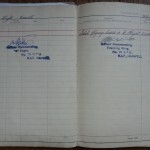 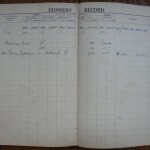 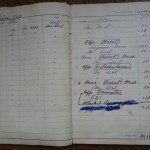 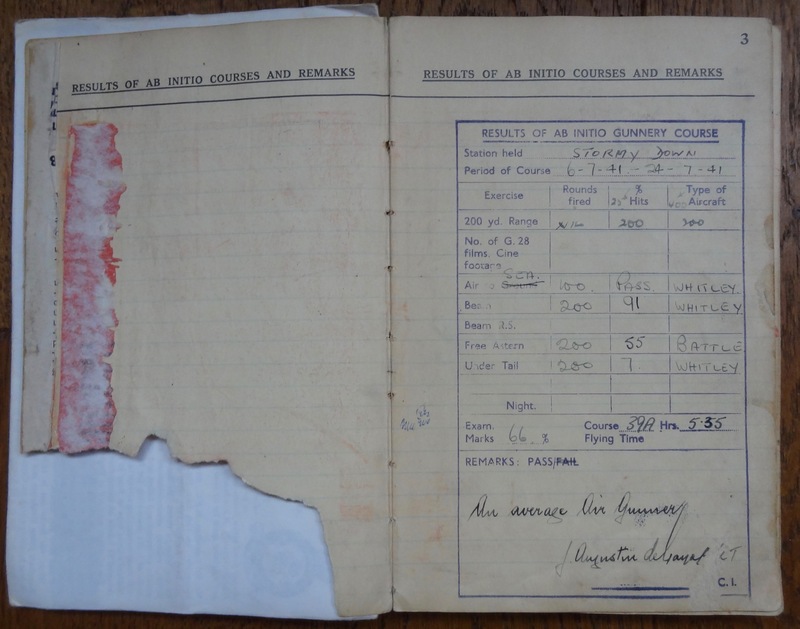 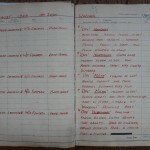 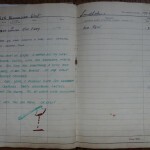 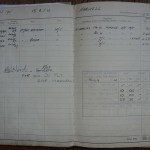 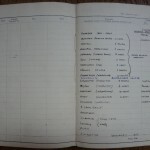 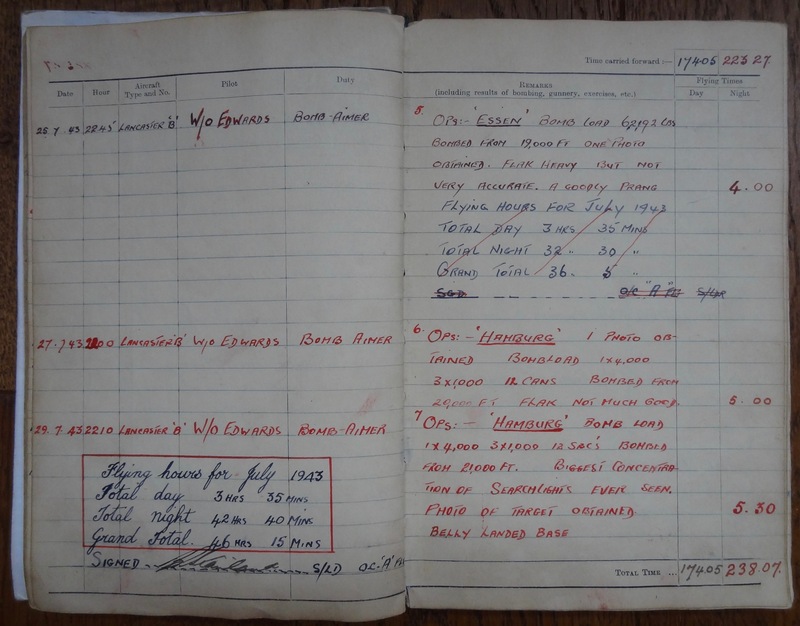 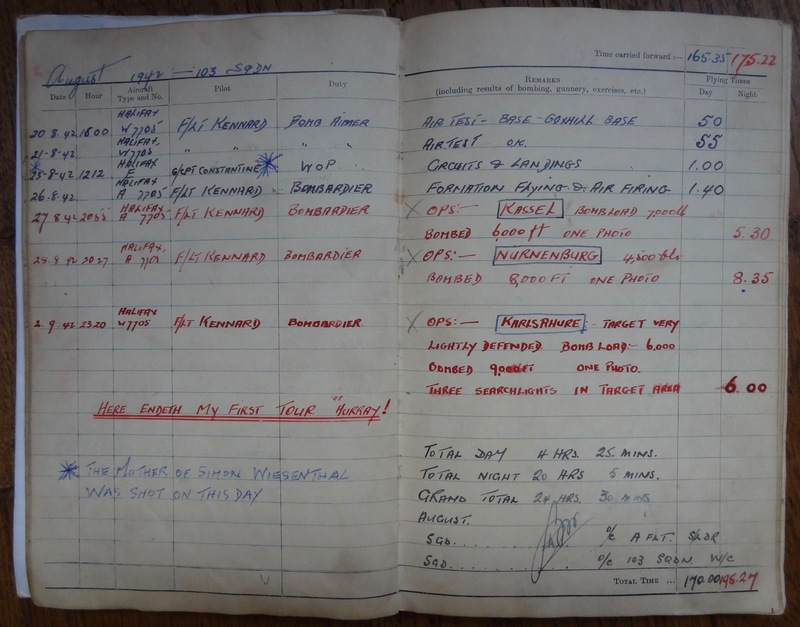 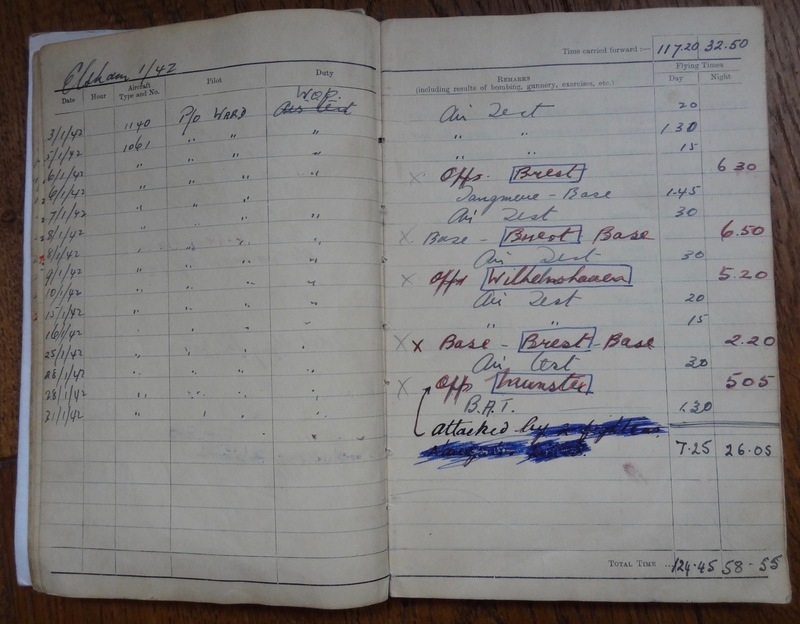 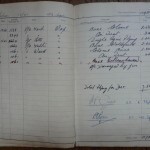 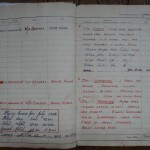 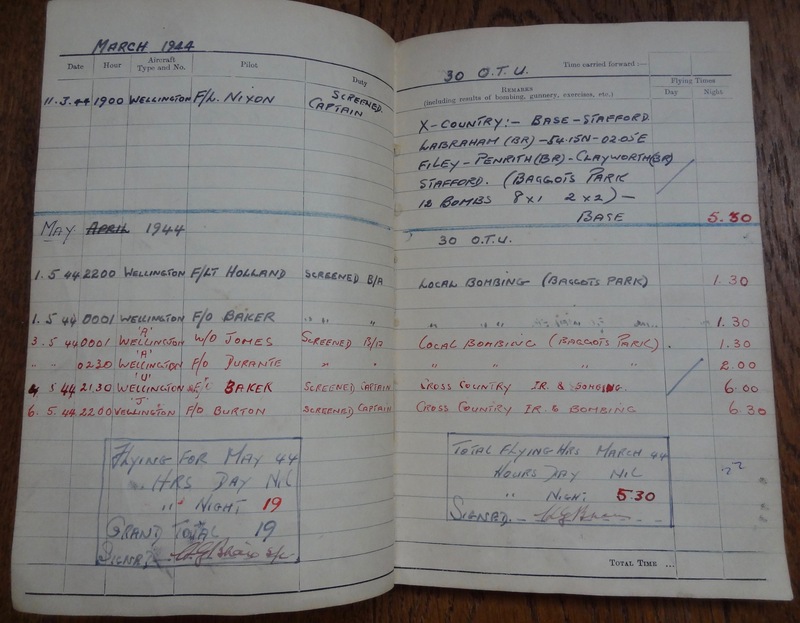 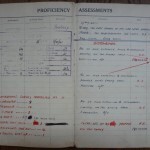 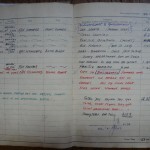 He kindly sent us the photographs below – including images of his logbook. ‘Pony’ Hynam died in 1991 and his widow Doris Hynam passed away in early 2008. 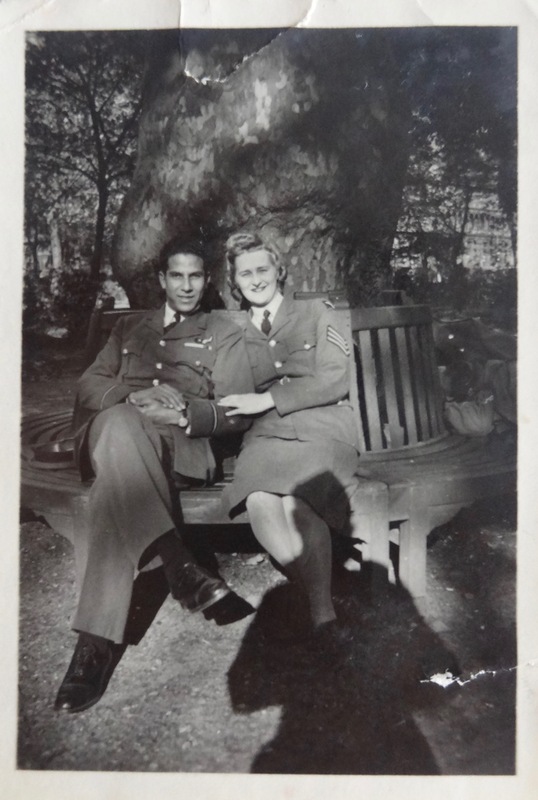 They are survived by their daughters Roma and Carole. 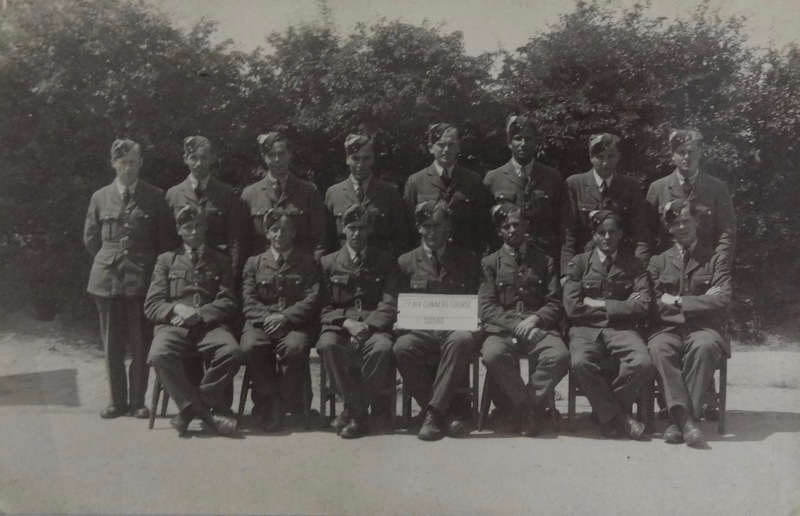 Mr. McKinnon informs us that Winston was the Warden (and resident, in the top floor flat) of the West Indian Students Centre from 1954 until 1980, where he got to know Cy Grant (who also flew with 103 Squadron) when he would visit. 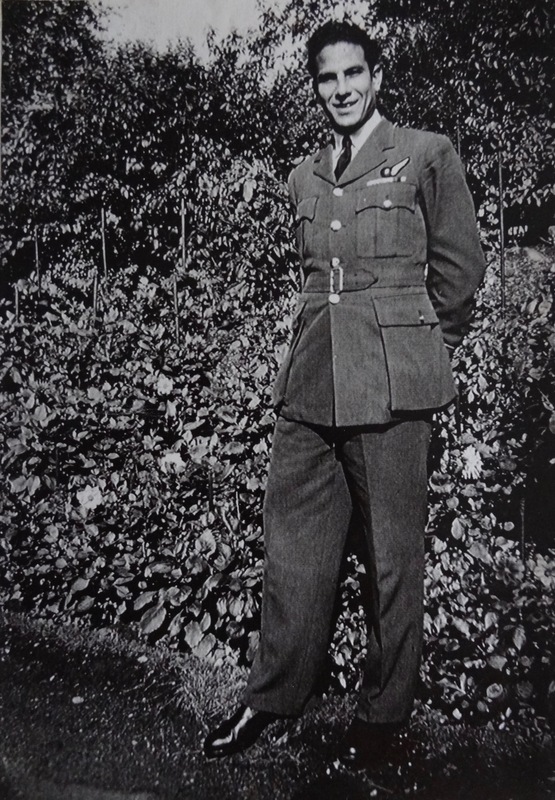 SMITH – Alst Claude D.
Served with 600 Squadron in North Africa and Italy flying Mosquito nightfighters and later Hurricanes. F/Lt R. N. Pereira, D.F.C., who flew 40 ops total with 49 and 83 (Pathfinder) squadron. 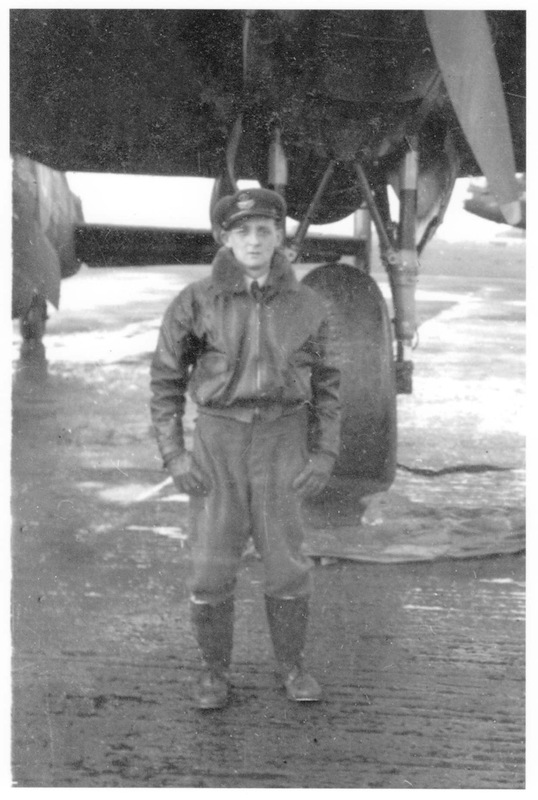 He is standing infront of “U for Uncle”…his aircraft. 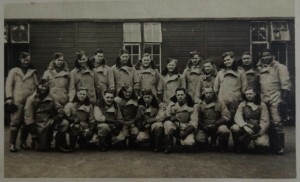 “Uncle’s” last flight terminated in a successful gear-up landing after a tyre blew on takeoff, on a flight to Italy to retrieve prisoners of war immediately after the war ended.